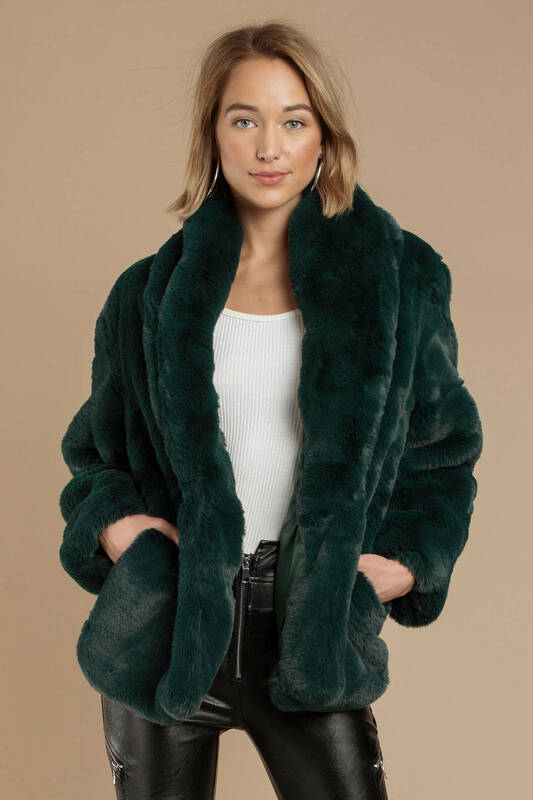 Check out Tobi's Dreaming Faux Fur Coat Live in faux fur luxury this season with Dreaming Emerald Faux Fur Coat from Somedays Lovin. 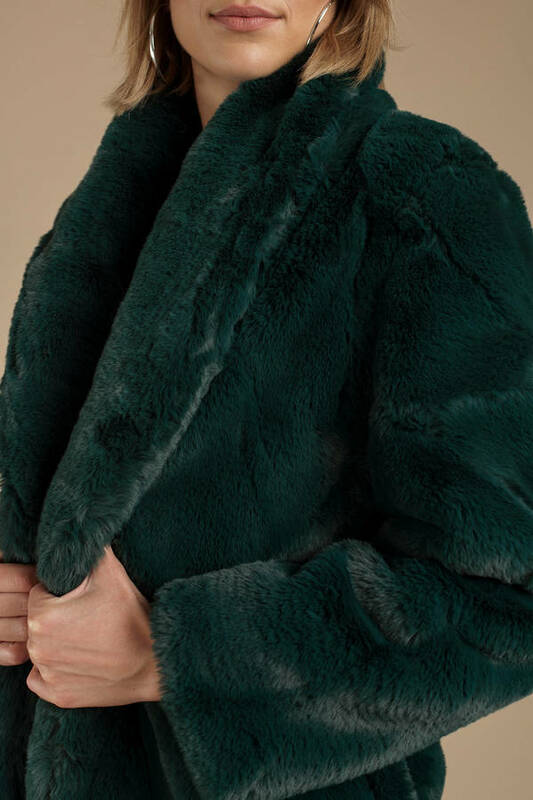 This oversized faux fur coat features gorgeous faux fur (and lots of it! ), open front, two front pockets, and a whole lotta wiggle room for all your other layers. Get all dolled up for cooler weather with this furry sweater, and pair it with your best bodycon and thigh high boots for an unforgettable evening outfit. 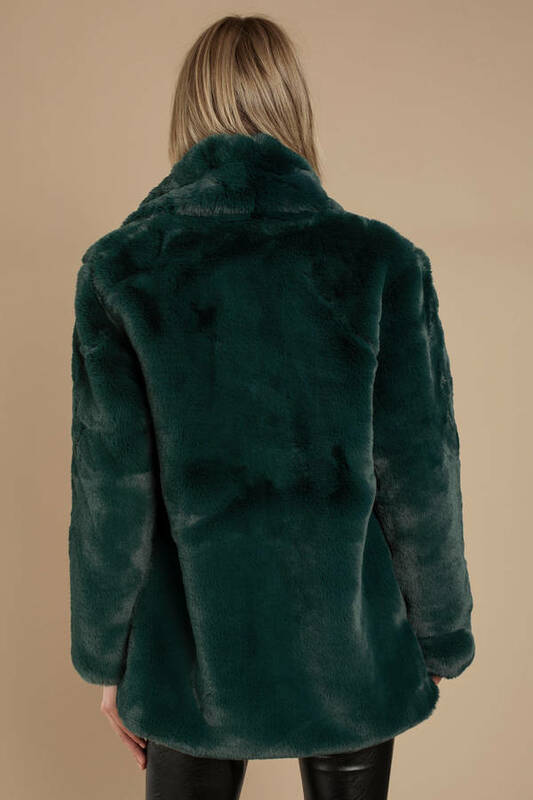 Live in faux fur luxury this season with Dreaming Emerald Faux Fur Coat from Somedays Lovin. This oversized faux fur coat features gorgeous faux fur (and lots of it! ), open front, two front pockets, and a whole lotta wiggle room for all your other layers. Get all dolled up for cooler weather with this furry sweater, and pair it with your best bodycon and thigh high boots for an unforgettable evening outfit.